Commercial fishing is the most dangerous occupation in the United States. The Centers for Disease Control and Prevention reported during 1992-2008 an average of 58 deaths occurred annually. This equates to a staggering 128 deaths per 100,000 workers! Thankfully, maritime law protects the rights of the loved ones of fishermen who unfortunately lost their lives while working the sea. Under the Jones Act, an employer owes the duty to exercise reasonable care and prudence in providing its employees with a reasonable safe place to work. It is the plaintiff’s burden to prove the employer breached its duty and the breach was the cause of the death. While the plaintiff must show the employer’s negligence was the cause of death, the law holds the plaintiff need only show the breach of duty contributed in any way, no matter how slight, to the death will be deemed sufficient for recovery under the Jones Act. Loss of support and services includes all financial contributions the decedent fisherman made to his family had he lived. To recover loss of support, it is necessary for the beneficiary to show dependency on the decedent. Loss of services includes the household services performed by the deceased fisherman and an award is usually measured by the costs of paying someone else to perform the same services. Loss of nurture to minor children damages are intended to compensate for the loss of parental guidance and intellectual and moral training to a child. Funeral expenses are recoverable to the extent they have actually been incurred by a family member. These damages compensate for the pain and suffering the fishermen endured before death. 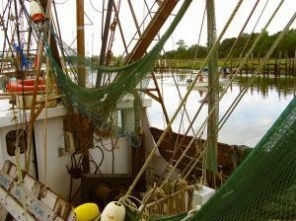 However, to recover these damages, it must be proved that the fisherman was conscious between the time of his injury and death. These are wages the fisherman would have earned between the time of his injury and death as well as wages he would have reasonably been able to earn though the course of his life. All medical and hospital expenses actually paid by the fisherman between the time of his injury and death. Tagged: "Fishermen Attorney", "Fishermen Death Law", "Fishermen Jones Act", "Fishermen Lawyer" and "Fishermen Wrongful Death"